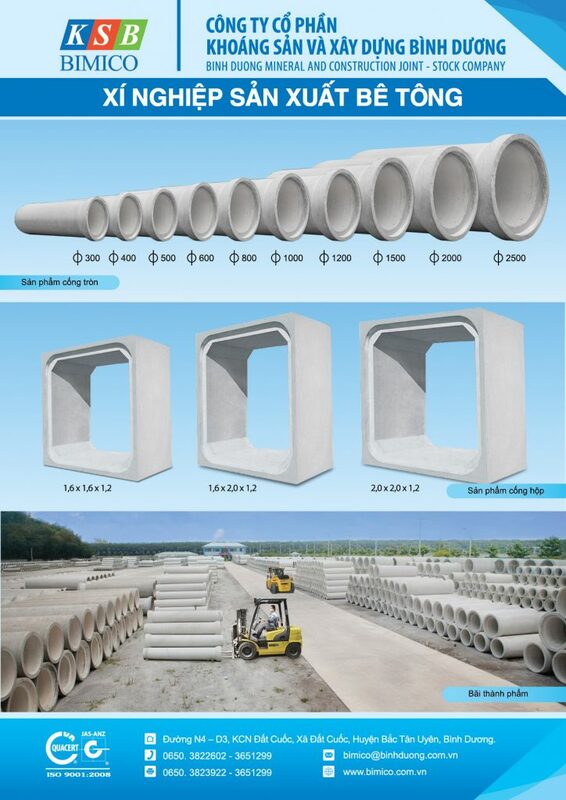 BIMICO owns prefabricated concrete plant capacity of over 60,000m / year including round culverts, box culverts and prefabricated concrete components in various sizes. The plant uses centrifugal technology specialized in producing inner tubes with a diameter of 300mm – 1500mm and core vibration technology of Germany to produce circular sewers with diameters from 3000mm to 3000mm. Single culvert has dimensions up to 2.4m x 2.4m. 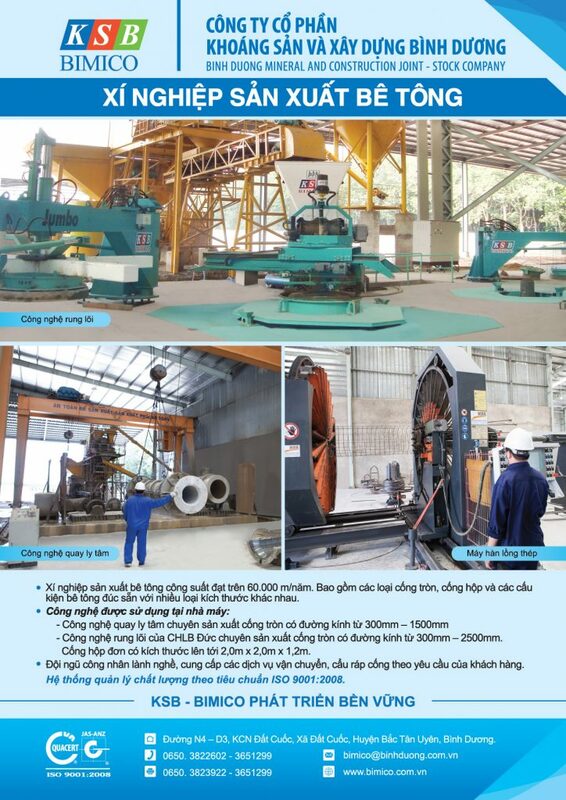 BIMICO concrete slab production technology is applied ISO 9001: 2008 Quality Management System.